Here's another "food for thought" possibility. If God torments Adolf Hitler forever, or annihilates him, wouldn't God then be acting the same way Hitler did? What responses do you think such a question would produce? By the way, I have been invited to go to Melbourne on Monday to see Geelong play Hawthorn at the MCG. I might not be Skyping you until a bit later than the 8 pm we planned. Is that OK with you? I was wrong about the doctoral dissertation re the dating of Revelation. The author was Kenneth Gentry, not Guthrie. His dissertation was published as a book titled "Before Jerusalem Fell". He is a post-millenialist and writes from a reformed perspective. However his doctorate was an academic production. Professor of Divinity and Biblical Criticism at Glasgow University and the author of many Biblical commentaries and books, including a translation of the New Testament, "Barclay New Testament," and "The Daily Study Bible Series." I am a convinced universalist. I believe that in the end all men will be gathered into the love of God. In the early days Origen was the great name connected with universalism. I would believe with Origen that universalism is no easy thing. Origen believed that after death there were many who would need prolonged instruction, the sternest discipline, even the severest punishment before they were fit for the presence of God. Origen did not eliminate hell; he believed that some people would have to go to heaven via hell. He believed that even at the end of the day there would be some on whom the scars remained. He did not believe in eternal punishment, but he did see the possibility of eternal penalty. And so the choice is whether we accept God's offer and invitation willingly, or take the long and terrible way round through ages of purification. Gregory of Nyssa offered three reasons why he believed in universalism. First, he believed in it because of the character of God. "Being good, God entertains pity for fallen man; being wise, he is not ignorant of the means for his recovery." Second, he believed in it because of the nature of evil. Evil must in the end be moved out of existence, "so that the absolutely non-existent should cease to be at all." Evil is essentially negative and doomed to non-existence. Third, he believed in it because of the purpose of punishment. The purpose of punishment is always remedial. Its aim is "to get the good separated from the evil and to attract it into the communion of blessedness." Punishment will hurt, but it is like the fire which separates the alloy from the gold; it is like the surgery which removes the diseased thing; it is like the cautery which burns out that which cannot be removed any other way. But I want to set down not the arguments of others but the thoughts which have persuaded me personally of universal salvation. First, there is the fact that there are things in the New Testament which more than justify this belief. Jesus said: "I, when I am lifted up from the earth, will draw all men to myself" (John 12:32). Paul writes to the Romans: "God has consigned all men to disobedience that he may have mercy on all" (Rom. 11:32). He writes to the Corinthians: "As in Adam all die, so also in Christ shall all be made alive" (1 Cor. 15:22); and he looks to the final total triumph when God will be everything to everyone (1 Cor. 15:28). In the First Letter to Timothy we read of God "who desires all men to be saved and to come to the knowledge of the truth," and of Christ Jesus "who gave himself as a ransom for all" (1 Tim 2:4-6). The New Testament itself is not in the least afraid of the word all. Second, one of the key passages is Matthew 25:46 where it is said that the rejected go away to eternal punishment, and the righteous to eternal life. The Greek word for punishment is kolasis, which was not originally an ethical word at all. It originally meant the pruning of trees to make them grow better. I think it is true to say that in all Greek secular literature kolasis is never used of anything but remedial punishment. The word for eternal is aionios. It means more than everlasting, for Plato - who may have invented the word - plainly says that a thing may be everlasting and still not be aionios. The simplest way to out it is that aionios cannot be used properly of anyone but God; it is the word uniquely, as Plato saw it, of God. Eternal punishment is then literally that kind of remedial punishment which it befits God to give and which only God can give. Third, I believe that it is impossible to set limits to the grace of God. I believe that not only in this world, but in any other world there may be, the grace of God is still effective, still operative, still at work. I do not believe that the operation of the grace of God is limited to this world. I believe that the grace of God is as wide as the universe. Fourth, I believe implicitly in the ultimate and complete triumph of God, the time when all things will be subject to him, and when God will be everything to everyone (1 Cor. 15:24-28). For me this has certain consequences. If one man remains outside the love of God at the end of time, it means that that one man has defeated the love of God - and that is impossible. Further, there is only one way in which we can think of the triumph of God. If God was no more than a King or Judge, then it would be possible to speak of his triumph, if his enemies were agonizing in hell or were totally and completely obliterated and wiped out. 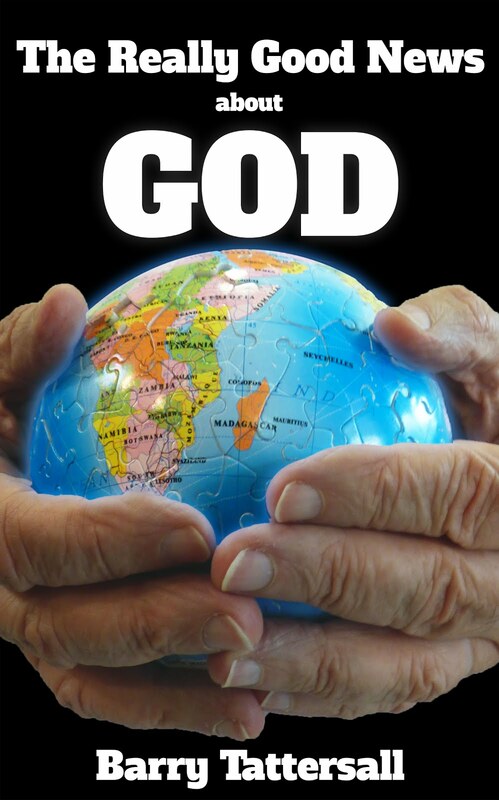 But God is not only King and Judge, God is Father - he is indeed Father more than anything else. No father could be happy while there were members of his family for ever in agony. No father would count it a triumph to obliterate the disobedient members of his family. The only triumph a father can know is to have all his family back home. The only victory love can enjoy is the day when its offer of love is answered by the return of love. The only possible final triumph is a universe loved by and in love with God. Please add information about this topic by providing comments in the usual way. I was confronted by 1 Timothy 4 : 10, which didn't fit my view of salvation at that point. "That is why we labour and strive, because we have put our hope in the living God, who is the Saviour of all people, and especially of those who believe." That really shook me; it challenged everything I had been taught and everything I had taught. It also challenged me to make a fresh study of salvation and God's overall plan for his creation starting with a blank sheet of paper. 2 Corinthians 5 : 18, 19; 1 John 2 : 2; Romans 5 : 18; 1 Corinthians 15 : 22 and Romans 11 : 32 began screaming at me. Then I began a little experiment, which included asking myself some serious questions. I considered, on one hand, the most popular Christian vision of the future, my previous view, in which most people would be excluded from salvation for ever. I then considered, on the other hand, the vision of eventual Christian reconciliation, in which God achieves his loving purpose of reconciling all people. Which vision most strongly supports the Biblical concept of a God of love? Which vision best describes God’s eventual victory over evil? Which vision best honours and celebrates the victory won by the sacrifice of Jesus on the cross? Which vision best demonstrates "grace surpassing sin" that Paul describes in Romans? Which vision most helps us to honour and worship God? Which vision gives the better idea of a loving Father raising and disciplining his children? Which vision most likely inspires hope? Which vision is more consistent with God as a model of kindness and mercy that Jesus asked us to follow? It didn't take me too long to decide that I had been selling God short and that I had been attaching severe conditions to his unconditional love. John the Baptist's clue to the future? "Jesus will baptise you with the Holy Spirit and fire," said John. Although the crowd was unlikely to fully understand, we have the advantage of rear vision. Jesus was Israel's promised Messiah. He had come to bring them the salvation God had promised. Salvation has two components - judgement and forgiveness. Judgement brings conviction of sin and repentance, immediately or sometime later. When judgement achieves its objective, forgiveness is received and reconciliation with God enjoyed. As John said, judgement was to be effected by a baptism with the Holy Spirit or with fire. In Israel's case, only a relative few were convicted of their sin by the ministry of the Holy Spirit through Jesus and the apostles, and so few repented, received forgiveness and enjoyed reconcilaition with God. A profound example of this Holy Spirit baptism process is described in Acts 2. However, the majority received judgement by fire in AD70, at the end of the age, when the nation was destroyed. So a baptism by the Holy Spirit was effected first, and, since that didn't bring conviction and repentance, a subsequent baptism by fire was used. Notice also how John further illustrates this process using the wheat-chaff example. The wheat will be gathered into the barn, but the chaff will be burnt up by fire. Although this was John speaking directly to the nation of Israel in the first century AD, I wonder if this principle, which was employed at the end of the old covenant age, will also be used at the end of the new covenant age(s). During the New Covenant age(s), the Holy Spirit will continue to bring judgement to humankind, both Jews and Gentiles, through the ministry of Christians and through direct spiritual revelation. Those who are convicted of their sin and repent, will receive forgiveness and be reconciled to God. This will again be a minority of humankind, by the looks of things. The majority will leave this planet unreconciled to God and heading for a baptism of fire. John the Apostle (not the Baptist) in the Revelation calls this the lake of fire. This baptism of fire is to bring formerly unresponsive and rebellious people to repentance, so they too will receive forgiveness and reconciliation at the end of the ages. The lake of fire is not torturous punishment for ever, as many assume, but is forever available to ensure all are brought to repentance so God can have mercy on all, as Paul informs us in Romans 11. So eventually, one way or the other, by Holy Spirit or by fire, God will be all in all, having reconciled all to himself through Jesus Christ. Don't G.R.A.C.E. people over-emphasise God's love, or suggest it is soft and fluffy, and overlook God's justice and wrath? There are certainly some universalists for whom this criticism would be true, but evangelical Christians who believe that all people will come to Christ eventually don't need to imagine God to be a soft touch. They have the same approach to sin, sinners and the need for repentance as any other evangelical has. The GRACErs just believe that everyone will get to this point eventually, not only those who say the "right" prayer or believe the "right" information before they leave this planet. God's love is unconditional and universal, but very robust. His love includes both judgement and forgiveness. Because he loves us, he calls our sinfulness to judgement (conviction we sometimes call it) and offers forgiveness and reconciliation to those who respond to that with repentance. Because the Bible tells us that God will have mercy on us all, that all will confess Jesus as Lord and that death will be the final enemy Jesus will defeat, GRACErs believe that all will be judged, forgiven and reconciled to God eventually. I have been exploring some of the most frequent objections to our position and wish to address each of them in a separate post. The finalised answers to these objections can become topics in the FAQ page of the website. Those of us proposing G.R.A.C.E. (God will Reconcile All through Christ Eventually) are often accused of trifling with the seriousness of sin. Because God really hates sin, he can not overlook it as easily as you G.R.A.C.E. people suggest, it is said. Firstly, sin is serious, deadly serious, since the Bible tells us that "the wages of sin is death." It's interesting that some people who make this accusation seem to feel that God can handle their sin OK, and has already done so, but it's other people's sin that is the problem. Surely if God can handle my sin, forgive me, reconcile me to himself, give me life, he can do the same for others. My sin is no better or worse than anyone else's. God hates it all and sent Jesus to deal with it all. Secondly, I am encouraged by Paul's comment in his letter to the church in Rome, that "where sin increased, grace increased all the more." It seems to me that God has enough grace, and more, to handle as much sin as we can throw at him. So, G.R.A.C.E. promoters are not trivialising sin, rather they are applauding and magnifying God's extravagant grace.